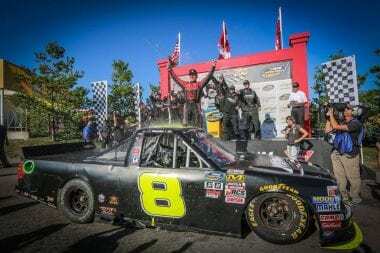 A dramatic finish at the Canadian Tire Motorsport Park road course leads to another driver being tackled in the NASCAR Camping World Truck Series. 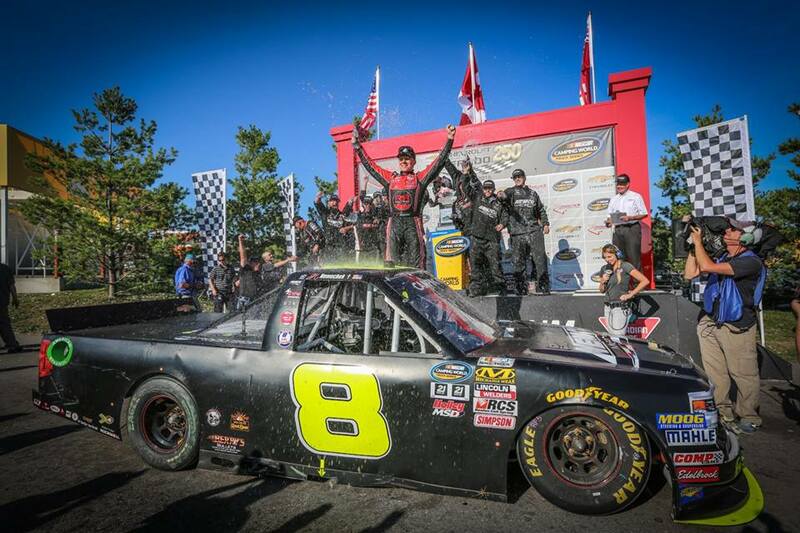 Watch the Canadian Tire Motorsports Park final lap video and the Cole Custer vs John Hunter Nemechek fight video below. John Hunter Nemechek and Cole Custer were battling hard for the win. With two corners to go Nemechek placed the bumper to Custer, but it wasn’t enough. So, he put another bumper to him in the final corner. The bumper locked a bit and it allowed Nemechek along side. At this point it’s still hard racing. However, then things take a strange turn. On the final straight Nemechek turns hard right and pushed both drivers clear off the track. Full throttle and through the grass, the driver crossed the line locked door to door. After a slight delay in ruling NASCAR declared Nemechek the winner. As soon as Custer got word, he took off for Nemechek. He hopped over the pit wall and took off full speed onto the race track. The title fight of Cole Custer vs John Hunter Nemechek was on. With Custer coming full speed, Nemechek attempted to pull a zig-zag fake, it was ineffective. Custer through a full speed tackle right out of the gate. “I got taken out. He hit me going into the second to race corner and he hit me again,” Custer said post tackle. This particular tackle placed by Cole Custer had more gusto than previous on-track fights. Back in June, John Wes Townley and Spencer Gallagher will involved in a similar disagreement at Gateway. When asked if he planned to have a conversation with Custer afterward to sort out their differences, Nemechek was noncommittal. In the on track fight at Gateway Motorsports Park fines and probation were handed out. Officials fined Townley $15,000 and assessed Gallagher a $12,500 fine. Both of the drivers were also placed on probation until Dec. 31. That incident wasn’t for a win, which sometimes plays a major role in the eyes of NASCAR officials.